With Vita, Sony said that us gamers can pick up Vita and have a PS3 like experience on the go. Then showed off Uncharted: Golden Abyss, WipEout 2048, Gravity Daze and Resistance: Burning Skies trailers, but then followed that up with actual demos that the media played. Seeing these games in action brought the whole thing into reality; that Vita was a real contender in a space the older brother PSP struggled to succeed in. 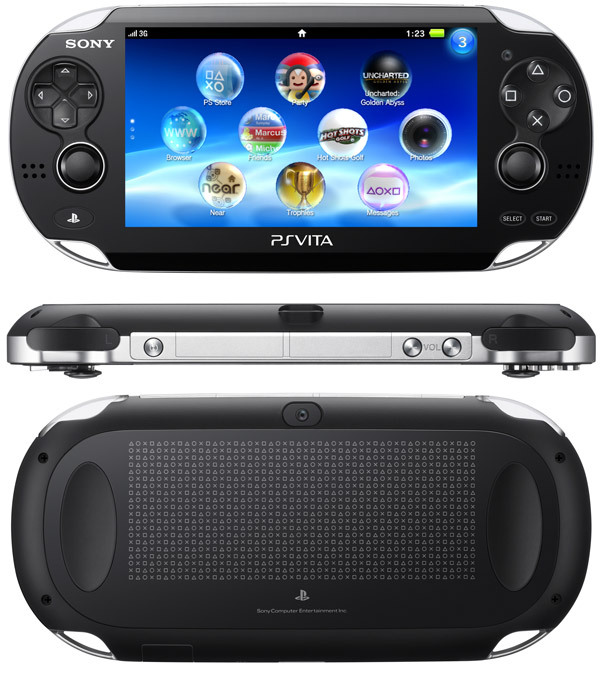 Now the PSP is far from a "failure", but it had a chance of dominating the handheld market. Sony just didn't understand that market and the PSP fell way behind the competition (the Nintendo DS mainly). Of course many things can happen between now and the North American launch of the Vita, but I'm very hopeful for a couple reasons. Games sell systems. Features and services are great, but if there are no compelling games for people to buy and play. That system won't be going anywhere. For the PSP that was largely the case. One stellar year and then about two years of nothing. That nothing year was then followed by a stellar year and then following that was nothing. In my own opinion that is really what caused the PSP to die outside of Japan. The iPhone and Android platforms helped in the decline of dedicated handheld gaming systems, but it comes down to the content. If there isn't anything people want to have from your system, it is dead in the water (PSP Go anyone?) For the Vita that is not going to be a problem, at least not yet and here is why. 1) Uncharted: Golden Abyss: Instead of just a dumbed down port of a console release of the franchise. Sony is actually going all out with this title. Building it from the ground up to be a showcase title of the Vita. The fact this PlayStation platform gets to launch alongside a full featured Uncharted game is amazing enough. This clearly shows that Sony is ready to make a name for themselves in the expanding market. Golden Abyss should feature every possible way of interaction with the Vita's expansive gameplay interface. I've already seen quite a bit of this game and everything has run very smoothly. 2) Ruin: This game is for the die hard rpg fan out there. I'll be completely honest, the first time I saw Ruin (at E3 this year) it looked like just a generic rpg that Sony wanted to throw into the lineup just to say they were covering all bases and getting every genre represented. Once I read more about it and watched a few more trailers I noticed this wasn't just the usual hack n' slash game I thought it was going to be. The online component of the game doesn't have you teaming up with other people to play with or against in an online world. It has your lair which you build up as you play the game. That lair can be filled with anything you want, anything you find in the game can be stored here, but be careful. You might lose everything you fought so hard to get if you don't build up your defenses. Whether you're online or offline. Your lair can be attacked by other players looking to bolster their own inventories. The stronger your lair is the better it can defend itself. Invite your close friends over to check out what you have, just make sure they can't defeat your guards when you aren't looking. 3) Gravity Daze (likely going to be called Gravity Rush over here): Have you ever wanted to control gravity? To command it to get stronger to hold down enemies? Completely remove gravity and fly through the skies around your prey? Jump from the ground and stand on a cloud? Gravity Daze lets you do that. If you haven't seen gameplay of this gem for the Vita (shame on you) check it out in the link below.